I haven’t blogged in a while because I have been busy creating some new chaos. I’ve listed two of the houses on the ranch with Homeaway/Vacation Rental by Owners. 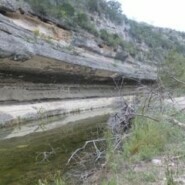 The listing numbers are 3911524 and 3917440 under Texas Hill Country. The process was quite interesting. I had to prove that I owned the property and then download pictures which I had to re-size to the pixels and MB’s. Since I am obsessive/compulsive and bipolar, everything has to be perfect but not for long. Just joking. I finally figured how to do it and had my first inquiry. A man wanted to bring 6 adults and 7 children from baby to 17. The ad specifically states 8 adults, not suitable for children. I emailed him that the septic would not handle that many. Neither will I. I hope I have not created a monster. To further complicate matters I am considering booking a trip to Japan and one to Venice, Croatia and Montenegro. I also have a trip planned for a cruise of the Great Lakes, no place like America.